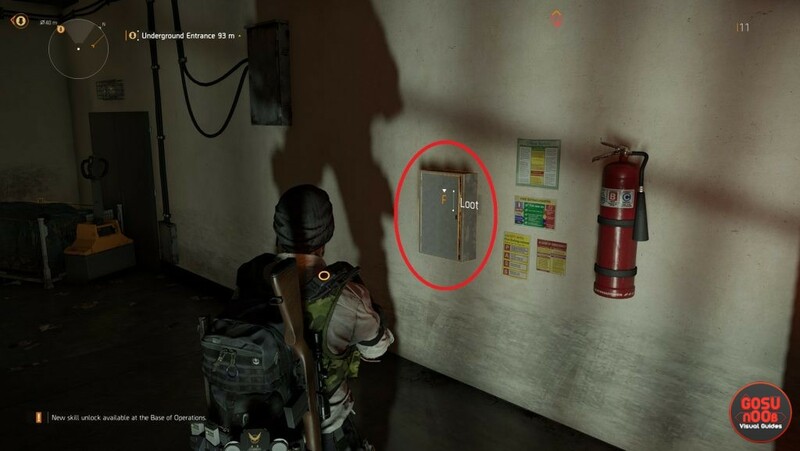 The Division 2 Hyena Keys will help you open Hyena crates. While searching for keys you will also come across True Sons and Outcast keys. They’re special keys that can be used to unlock gang stash loot boxes. These crates are scattered around the map – you’ve probably already ran into at least one – and contain various gear and weapons. Unfortunately the game will not tell you anything about the keys like where and how to find them. The keys are on a timer: once you pick one up, it’ll disappear for a while, so you can’t really farm them. If you’re wondering where to find them, this guide will show you Division 2 Hyena Keys, True Sons, Outcast key locations. Your best bet would be to check out any underground passage you run into. The type of key probably depends on the area you’re in, as these loot stashes belong to different gangs operating in Washington DC. You can always keep a healthy stack of keys in your inventory, and you’re surely going to use them all up at some point. The boxes are mostly in mission-specific areas, which means you can’t just run out and look for a key whenever you find a box. You’ll have to come prepared. We located 7 Hyena Chests and you can find them in the video below. While wandering throughout Division 2 world you will find your pockets full of different fraction keys. On the other hand it’s not that easy and obvious to find corresponding chests. With that in mind we decided to share with you easiest to reach True Sons Chest locations and in the video below you can see five True Sons Crate locations. All of these locations are connected to some side missions. We’ll keep playing, and we’ll update this guide with more locations as we discover them. If you find any we haven’t listed, feel free to share your findings in the comments. You’re looking for more Division 2 stuff? Look no further! Check out our youtube channel. We post video guides there daily and livestream.